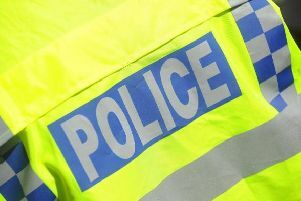 Northamptonshire Police has admitted it should have sent officers to an attempted burglary this morning (Sunday) that left the homeowners fearful. It comes after two men removed the door lock of a house in the Braunston Road / Headlands area of Daventry at about 7am today (Sunday). Despite a 999 call to police control room by the frightened homeowner, available officers were not deployed. Sam Dobbs, the Daventry Neighbourhood Sergeant, said the force had received lots of concern / criticism" about a lack of police reponse. He said: "[It was obviously] a very scary situation for all at home at the time. "[The] criticism appears justified and we will determine what happened here. "[It was] very scary for victims to whom we've apologised for no immediate response, despite officers being available." The two burglars shouted that they were 'looking for James', leading Sgt Dobbs to speculate that they either had the wrong house or were using a distraction technique. They managed to remove the entire barrel of the lock before being challenged by the householder, who then called emergency services. Both men were aged in their twenties. One of them wore a black coat and grey wool hat, and had a 'round' face. Anyone with information about the burglary can call police on 101 or Crimestoppers, anonymously, on 0800 111222.